WASHINGTON — Iran continues to be the world’s leading state sponsor of terrorism, the Trump administration said Wednesday in a new report that also noted a decline in the number of terrorist attacks globally between 2015 and 2016. In its annual “Country Reports on Terrorism” released Wednesday, the State Department said Iran was the planet’s “foremost” state sponsor of terrorism in 2016, a dubious distinction the country has held for many years. It said Iran was firm in its backing of anti-Israel groups as well as proxies that have destabilized already devastating conflicts in Iraq, Syria and Yemen. It also said Iran continued to recruit in Afghanistan and Pakistan for Shiite militia members to fight in Syria and Iraq. And, it said Iranian support for Lebanon’s Hezbollah movement was unchanged. In terms of non-state actors, the report said the Islamic State group was responsible for more attacks and deaths than any other group in 2016, and was seeking to widen its operations particularly as it lost territory in Iraq and Syria. It carried out 20 percent more attacks in Iraq in 2016 compared with 2015, and its affiliates struck in more than 20 countries, according to the report. Iran has been designated a “state sponsor of terrorism” by the State Department and subjected to a variety of U.S. sanctions since 1984, and many of the activities outlined in the report are identical to those detailed in previous reports. But, this year’s finding comes as the Trump administration moves to toughen its stance against Iran. The administration is expected to complete a full review of its policy on Iran next month. President Donald Trump has been particularly critical of the Iran nuclear deal negotiated by the Obama administration and only reluctantly certified early this week that Iran remained entitled to some sanctions relief under its provisions. Iran used a unit of the IRGC, the Qods Force, “to implement foreign policy goals, provide cover for intelligence operations and create instability in the Middle East,” the report said. It added that Iran has publicly acknowledged its involvement in Syria and Iraq. Hezbollah worked closely with Iran to support the attempt by Syrian President Bashar Assad’s government to maintain and control territory, according to the report. And with Iranian support, Hezbollah continued to develop “long-term attack capabilities and infrastructure around the world,” it said. New sanctions were slapped on individuals and groups tied to Iran’s ballistic missile program, hours after the State Department again certified that Iran is complying with the nuclear deal struck two years ago. 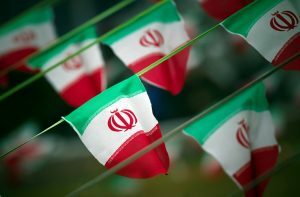 William Brangham speaks with chief foreign affairs correspondent Margaret Warner and Nick Schifrin about the schism within the Trump administration about Iran and the nuclear deal. In its final days, the Obama administration suspended some sanctions against Sudan in recognition of that country’s improved counterterrorism record. In early July, the Trump administration extended those suspensions by three months. Countries can be removed from the list at any time following a formal review process, but the report offered no explanation for why Sudan remains on it. Despite the activities of Iran and groups like the Islamic State in Afghanistan, Iraq, Pakistan and Syria, and Boko Haram and al-Shabab in Africa, the total number of terrorist attacks in 2016 decreased by 9 percent from 11,774 in 2015 to 11,072, according to statistics compiled for the report by the National Consortium for the Study of Terrorism and Responses to Terrorism at the University of Maryland. That reduction was accompanied by a 13 percent decrease in deaths — from 28,328 to 25,621 — from such attacks over the same period. Of those killed in 2016, 16 were American citizens, including seven in high-profile attacks in Brussels in March and Nice, France, in July. Seventeen Americans were injured in the Brussels attack and three in Nice, the report said. READ MORE: Can Trump improve his record-low approval rating?